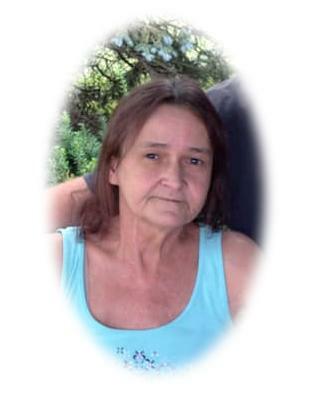 Virginia “Ginny” Fitzgerald, 58, of Indianapolis passed away on Wednesday, December 5, 2018. Born on August 27, 1960 in Bloomington to the late Junior and Nellie Arms. She enjoyed fishing, watching NASCAR, and especially her time with family and friends. She is survived by eight step children, Kyle and Dustin Fitzgerald, Michelle Myers, Billy Joe Boler, Emily and Maxwell New, Troy Morrow and Jennifer Mathes; her two siblings, Onnie Hart (Danny) and Roger Arms; three sister-in-laws, Mary Arms, Nina Arms, and Mary Arms. She is also survived by many extended family and close friends. Aside from her loving parents, Ginny was preceded in death by her beloved husband, Patrick Fitzgerald. A funeral service will be held at 2:00 p.m. on Monday December 10, 2018 in the Lauck & Veldhof Funeral & Cremation Services (1458 South Meridian Street). Burial at Round Hill Cemetery. A visitation will be held from 12:00 p.m. until the time of service.